If I'm not mistaken (and, granted, I live in a later time zone), the End of Days has not occurred today, May 21, 2011. 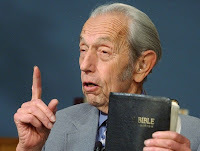 Therefore, Harold Camping's prediction--based on his biblical calculations using numerology and other forms of esoteric interpretation--is wrong. Last time this happened for Camping (1994), I pastored a congregation just up the hill from his church. I recall gathering shortly afterwards with local clergy for our monthly prayer meeting and one of them reminded us of the sober fate Camping would've faced if his failed prediction had occurred in Old Testament times (Scripture at that point mandated capital punishment for false prophets--see Deuteronomy 18:20-22!). Please, please, don't misunderstand me: I'm not in any way advocating the same for Camping or anyone else (nor do I think that the New Testament allows for this)! But there's a gravity to these kinds of predictive errors which must be mentioned. At the very least, these misguided efforts cast ridicule on Christ and the Church, they lead gullible people astray, and they present a pathetic witness to the world. Worse than this, these attempts fly in the face of very obvious biblical teaching, which clearly states that no one--not even Jesus!--knows the day or hour of his return (see previous post on Matthew 24:36). At their heart, such erroneous calculations reveal the essential problem with numerology or any form of bible interpretation that purports to have discovered a hidden message in Scripture, particularly one that divines a future timetable: the Bible is meant for public revelation that leads its readers to a saving knowledge of God in Jesus Christ and facilitates faithful living in the present. It is NOT, repeat NOT, a mysterious Ouija board only to be interpreted by those anointed with special knowledge, nor is the Bible a sealed scroll to be unlocked by some mysterious interpretive key. The Apostle Paul, writing to the Colossian church in the context of early gnosticism and mystery religions (both of which said salvation was only for the secret initiated elite, not the hoi polloi), was careful to stress that the gospel message was on OPEN secret! In fact, using the special language which these cults employed, Paul turned their meaning inside-out: the gospel was a public invitation (given by God to all!) of Christ's offer of life. Paul went further: he even revealed to everyone what the secret mystery was! "To [Christ's followers, that is everybody who trusts in him] God chose to make known how great...are the riches of the glory of this mystery, which is Christ in you, the hope of glory" (Colossians 1:27). The point is that the Christian message of life is an open secret given to everyone! Any interpretive grid which asserts a secret message in the Bible denies this essential aspect of God's revelation. God's intent in coming to earth and speaking to us through his Son Jesus Christ (and the writings he commissioned) is for the message of grace and new life to be available to all. To claim that one person alone (or a sect or cult) solely possesses insight into a hidden biblical mystery flies in the face of this and contradicts the clear intent of the Bible. We've got to learn that we can't control many aspects of the world and our lives. To live with a reverent agnosticism (see my previous post) and to humbly admit we cannot know the time of Christ's return, is an indispensable aspect of our humanity and our discipleship. If you read the Doonesbury comic strip (as I do), you know that Garry Trudeau is currently poking fun at the doomsday predictions of Alameda, California preacher Harold Camping. Camping, based on his reading of the Bible, declares this Saturday, May 21, 2011 to be the Second Coming of Christ. For weeks now, news reports from NPR to local TV stations have been highlighting Camping's audacious claims. This fellow's done this before: last time he claimed Christ's return was to be in 1994, which he then readjusted based on fresh understandings of Scripture (or so he says). There are two mistakes we can make with predictions like these. The first is dismissive skepticism: "What a nut! ", we might say, "Who does he think he is?!" and laugh it off without another thought. Clearly, the secular media is chuckling like this now. That's certainly what Doonesbury's doing. While this is understandable from those who don't have regard for the Bible, for those of us who do, to dismiss a concept like the end of the world is ill-advised. Scripture clearly teaches the return of Christ (and the oft-recited Apostles Creed makes it clear). The opposite mistake is to do what Zonker's gullible neighbor is doing: give away all your possessions, quit your job, and hunker down til Saturday, trusting that somehow Harold Camping accessed the divine timetable. The third and best way, is to take to heart the words of Jesus in Matthew: recognize that Christianity has always taught the return of Jesus to judge the earth, right all wrongs, and usher in a new heaven and new earth. But don't set a timetable! If Jesus himself doesn't know the day or hour of his return, how can Harold Camping? Or you or I? What's needed is a reverent agnosticism, a humble refusal to try to manage, manipulate, or otherwise predict the return of Christ. Rather, we must live in readiness, doing the things Christ would have us do--love God and neighbor, serve the poor, work for justice, feed the hungry, heal the sick, teach the truth, and welcome the stranger. In other words, we are to be faithful. No one knows the day or hour. But we do know what he wants from us. That should do until Saturday...and beyond. Two things are on my heart as I write this. 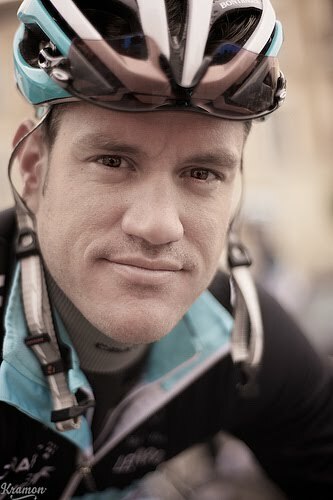 First, I received the sad news earlier today that Belgian pro cyclist Wouter Weylandt was killed crashing on a descent during Stage 3 of the Tour of Italy. 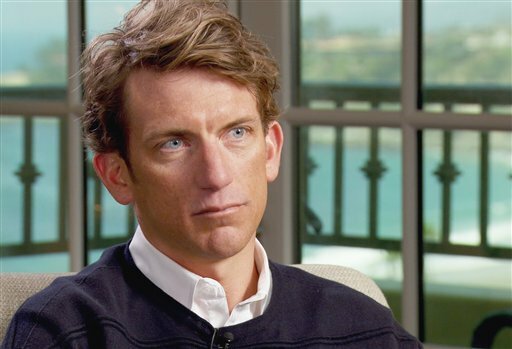 He was 26 and well-respected in the pro peloton. In fact, strangely enough, he had won stage 3 at last year's Tour of Italy. While competitive cycling is a dangerous sport and racers are vulnerable to crashes and injuries, tragic deaths like this one are quite rare. When they occur they catch our attention. I think it gives every cyclist pause. My wife, non-cylist but loving cycling supporter, was first to text me the news. I admit I paused before heading out on my Sunshine Canyon ride at lunch. In fact, knowing I was riding, my wife called me while I was on the bike just to make sure I was okay. A death like this one reminds us of our mortality and the relative fragility of each of our lives. If it's not a bike crash, it could be a suspicious mole, a positive lab result, or the sudden onset of chest pains. Our mortality remains 100% and we pause. But I went for my bike ride anyway. I'm glad I did. The alternative (giving in to fear or deciding to ride the plains instead of the hills) didn't make sense. I love cycling and I know I'm mortal (midlife reminds you of that more and more), but I want to affirm the good gifts of God in this life, acknowledge my brief sojourn here on earth, AND affirm the resurrection to come. Which leads me to the second thing on my heart today. A friend in our church has sent me a link to a marvelous article in Christianity Today entitled "A Culture of Resurrection: How the church can help its people die well" (http://www.christianitytoday.com/ct/2010/june/5.35.html). Here, Rob Moll reflects on how we can better remind our fellow Christians of the reality of death and resurrection. These are not morbid topics, the writer maintains, but biblically-speaking, they are unashamed truths of Christian life. Churches in the past often had cemeteries attached to them, places where worshipers were reminded each time they gathered of the Church Triumphant--those saints who'd gone before them and were, as the Bible so nicely puts it, "asleep." (The root of the word "cemetary" is from the Greek word for "sleep"!) Death for the Christian is indeed sleep. For as Paul so elegantly writes: "Brothers and sisters, we do not want you to be uninformed about those who sleep in death, so that you do not grieve like the rest of mankind, who have no hope. For we believe that Jesus died and rose again, and so we believe that God will bring with Jesus those who have fallen asleep in him...Therefore encourage one another with these words" (1Thessalonians 4:13-18 NIV 2011). Eastertide, the weeks following Easter which precede Pentecost, is a season in which we recognize our mortality and affirm our hope of resurrection. No doubt about it: life is frail and short on earth, but don't let it curl you into a fetal ball. Christ is Risen Indeed!...so take that bike ride.